Our Haunt is not a Walk Through…It is Interactive and Actor driven! You WILL be touched, You may be Taken or even Locked away…in our Mad House it’s how we Play! You may go in together but you will not be holding hands for long as you will not be coming out together….If you are not careful we may even make you a permanent part of our Collection! Every year we do a Haunt we Donate the Profits to Local Fundraisers and/or Charities and the Humane Society. The Dunn County Humane Society (which is a No Kill Center…<----Big Deal in our eyes! 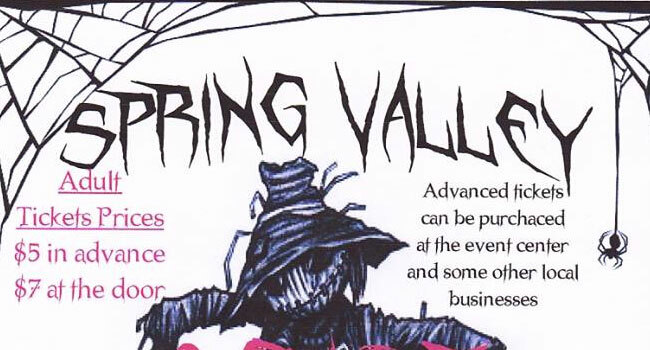 How was your experience at Spring Valley Scare? I’ve been there in the past and it was great fun. They also do a kids walk through which was fun for the kids they were really great with the kids and let them touch and play with the props as well as take pictures in some of the devices they use.